Many CEDR members are interested in offering health benefits to their employees but are discouraged by high costs and complex regulations. Wouldn’t it be nice if someone offered a simple, empowering explanation so you can make more educated decisions about healthcare benefits? Here, we aim to do just that, outlining several options to help you keep your employees happy and healthy. Let’s imagine you have a job opening for an office manager. You invest some time in the interview process, and you offer the position to your top candidate. She is receptive and excited, asking the standard questions about benefits and compensation: Is there room for salary growth? Do you have paid time off? Health benefits? You can see her face fall with disappointment when you say you don’t currently offer any healthcare benefit. The next day, she declines your offer. While CEDR doesn’t administer benefit programs for our members, we are providing you below with information on our trusted benefit partners who can answer additional questions. If you have 50 or more full-time-equivalent employees, you are subject to the Affordable Care Act’s (ACA’s) “employer mandate” and should have a group plan in place as your health benefit. Smaller employers aren’t required to offer health insurance to their employees, but those who do must ensure their plan complies with some minimum requirements under the ACA. For example, the plan’s waiting period must be no longer than 90 days from the date of hire. Don’t worry—a Health Plan Administrator can help you meet all the requirements for group plans and avoid any penalties. So what else should you know? The Marketplace. If you have 50 or fewer full-time-equivalent employees, you may be eligible to buy affordable coverage through the Small Business Health Options Program (SHOP Marketplace), which can be found at HealthCare.gov. Small Business Tax Credit. Better yet, you may be eligible for a Small Business Health Care Tax Credit if you purchase group health insurance through the SHOP Marketplace—up to 50% of the premiums paid! To qualify, you must have fewer than 25 full-time-equivalent employees, and they must earn an average annual wage of less than $50,000. The amount of credit you receive works on a sliding scale. The smaller the employer, the bigger the credit. Be sure to talk to your CPA if you’re interested in claiming this credit. You can also read more about it here. “Off-Exchange” Options. Plans are available in the private market as well (these plans are known as “off-exchange” plans). Employers can explore off-market options if they feel their options on the SHOP Marketplace are too limited or too expensive. Contact your health insurance broker for more information about exploring this option. If you have questions about, or are interested in obtaining, a group health insurance plan, we recommend contacting our benefits and payroll partner, Payday HCM. Association Health Plans (AHPs) are a sister concept to group health plans, because they offer a different way to obtain such a plan. Maybe you want to offer a group health plan but cannot afford it on your own. AHPs allow you to reach out to other small businesses in your area or your industry, in order to band together to obtain a plan. Your group creates an “association” that offers a plan to employees of the associated businesses. Theoretically, this creates a larger insurance pool that spreads out administrative costs, leveraging better coverage and lower prices for the group as a whole. The types of plans available through AHPs are group health plans and consumer directed health plans (which include items like Health Savings Accounts, Health Reimbursement Arrangements, and Flexible Spending Accounts). Coverage obtained through AHPs remains subject to the Affordable Care Act. If you are interested in creating or joining an AHP, you should seek a qualified local healthcare attorney. You may wish to call Payday HCM first to discuss your overall options. 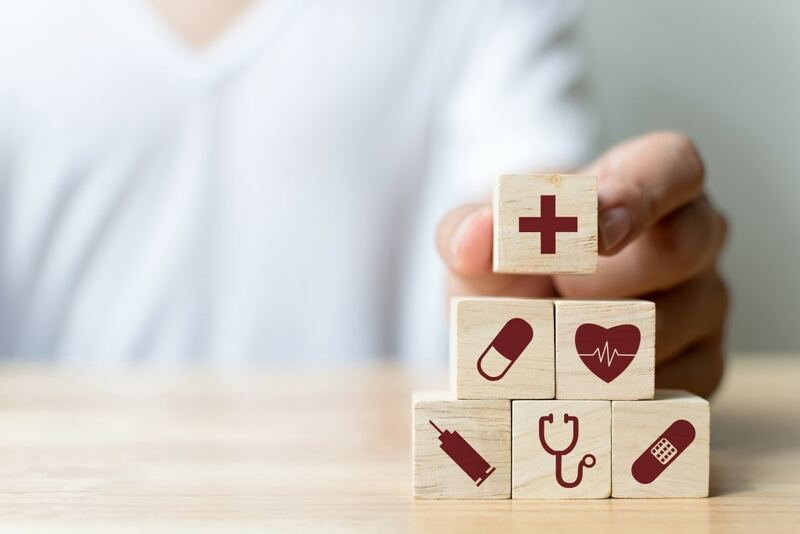 Qualified Small Employer Health Reimbursement Arrangements (QSEHRAs) can be a great option for businesses who wish to directly support healthcare costs but aren’t able to have a group plan. CEDR talks to many employers in these situations. Even if a group plan is affordable (which is not always the case for a small employer), it’s only doable if enough employees participate. QSEHRAs are an option available only to employers who do not offer a group health plan and have fewer than 50 employees. Adopting a QSERHA allows you to offer a tax-free reimbursement for healthcare expenses (premiums and/or direct healthcare costs) that your employees obtain on their own. Put more simply: your employees enroll in a healthcare plan on their own, and you reimburse them for expenses using pre-tax dollars. What will you reimburse? QSEHRA allows you to reimburse employees for their out-of-pocket costs for insurance premiums and/or other healthcare expenses (copays, prescription costs, deductibles, etc.). How much will you reimburse? There is no required minimum amount for what needs to be reimbursed, so there is a lot of flexibility here. The government does, however, set maximum reimbursement amounts (separate amounts for single employees and those with families). Those maximums may vary from year to year. Those details, and additional information, need to be put into an official plan document. This means you can’t simply start reimbursing expenses without going through some important steps. It won’t be considered a QSEHRA plan, and therefore tax-free, unless you follow all the rules. It’s important to work with someone, such as our partner Take Command Health, on creating this plan to ensure it’s done properly. A local attorney or CPA may also be able to assist with this if they are familiar with the QSEHRA law. Employees Choose Their Own Insurance Plan. QSEHRA allows employees to choose the healthcare coverage that best fits their individual needs. If one employee wishes to obtain a high-deductible, low premium plan, and another employee wishes to obtain the exact opposite—they can both get their way! Employees Make Purchases and Submit Receipts. Remember that this is a reimbursement, not a stipend. So employees can be reimbursed up to the maximum monthly amount you selected, if they submit valid receipts. A word of caution—it’s actually not a good idea to be looking at your employees’ medical information! If you use a local attorney or CPA to draft your plan document, they may not be able to take over this important administrative component of the plan for you. The best way to handle this is to use a third party. Issue Pre-Tax Reimbursements. If they submit a receipt for a qualified expense, you provide a pre-tax reimbursement. Sounds pretty rosy, right? If you want more detailed information, we also have a blog post on this topic. Even though this seems like a convenient option, employers can get into a lot of compliance issues with the government if they don’t set up or administer a QSEHRA properly. If you’re interested in adopting a reimbursement arrangement, we highly recommend you reach out to our partner Take Command Health. Take Command Health can discuss the best options for you, draft your plan document, and administer your plan. They will help you determine your budget, and make it easy for employees to electronically submit receipts to them instead of you. And, the team at Take Command Health are also licensed insurance brokers for individuals. This means that they can actually help your employees find the best plan for them. This can be viewed as a benefit in itself to many employees, as shopping for insurance is complex and confusing. Remember our story from the beginning of this article? After your candidate learns you have no formal healthcare benefit, she asks whether you will consider providing her a stipend to help her pay for her insurance. She is requesting $300.00 per month to pay the premium on her current healthcare plan. Disappearing benefit. Employees very quickly come to think of this stipend as part of their regular wages instead of a formal benefit. And they are technically correct in viewing it this way—this is additional compensation that is being provided. It’s not a healthcare benefit, and it’s not given as a pre-tax benefit. The employee may be extremely grateful that you are providing them this “benefit,” but they quickly start seeing it as a part of their pay and don’t think about it as a benefit they’re receiving. No takebacks? If you add a formal healthcare benefit in the future, logically you’d want to stop providing the healthcare stipend. Unfortunately, it can be tricky to remove the stipend. Employees usually feel they are receiving a pay cut instead of a new benefit. Overtime. Due to the fact that a health stipend is taxable income, this additional compensation must be included in the calculation of overtime. The overtime rate has to take into account not just the employee’s standard hourly rate, but all forms of compensation that are received. This includes the extra healthcare stipend compensation. The end result is that giving a healthcare stipend to a non-exempt employee can increase your payroll beyond the flat monetary amount you provide. Tax consequences. With no tax benefits associated with this option, both you and the employee must still pay your respective payroll taxes on the amount of the stipend. When you try to make a benefit like this pre-tax, the government will find you to be out of compliance and subject to fines. If you want a pre-tax benefit, you need to be utilizing a group health plan or QSEHRA. No proof of insurance. The stipend is simply a fixed amount of taxable income that is often listed separately on an employee’s paystub. Just like the rest of their pay, the employee can choose to spend this on anything they wish. In other words, you cannot require employees to spend this additional income on medical expenses or require proof of insurance as a condition of eligibility. If you go down the road of trying to make this a reimbursement or requiring proof of insurance, that brings you under the ACA rules, and your stipend suddenly becomes an unlawful health plan. Potential for Discrimination. Employers need to be careful when offering this as a benefit, since not offering it equally across the board could result in a potential discrimination claim. For example, if you said, “Yes” to a request for a stipend from a male associate doctor, and subsequently said, “No” to a request for a stipend from a female associate, the female associate may be able to argue she was treated unfairly due to her gender. You can certainly offer a stipend. It’s extra compensation that you are choosing to provide. Because here at CEDR we’ve seen it cause the types of problems referenced above, we generally do not recommend it. However, benefit decisions are up to you. Supplemental insurance plans can stand on their own or compliment any of the above healthcare options. Supplemental insurance plans—such as short-term disability, hospital insurance, cancer or critical illness insurance—provide employees with cash benefits meant to meet costs not typically covered by other forms of insurance. The employee and/or employer pay premiums toward the plan, and when an event occurs that is covered by the plan the employee will receive cash benefits. For example, a supplemental insurance plan may provide pay while an employee is on an unpaid medical leave or provide funds to assist an employee with the cost of a hospital visit. These plans are typically very easy to set up and add little cost to the employer since they are commonly funded by the employee through payroll deductions. Many large companies, such as AFLAC and Colonial Life, offer these benefits. You may also contact your health insurance broker for other options available to you. If you have questions about or are interested in obtaining a supplemental insurance plan, we recommend contacting our benefits and payroll partner, Payday HCM. Now that we’ve covered the options, it’s important to remember that there is a paperwork requirement that applies regardless of whether any benefits are offered. All employers are required to give every new hire a document notifying them of their option to purchase healthcare coverage on the Marketplace and what healthcare benefits, if any, are offered by the business. The Department of Labor (DOL) has model notices you should use to stay in compliance. You can find the most recent version on their website, and should select the option that applies to you. We know that making benefits decisions can be difficult, but we hope we’ve made it a little clearer by outlining the credible options. There’s no one way or “right way” to provide benefits—it has to be the right choice for your business. Once you’ve considered your options, the next step is to contact an appropriate qualified professional for additional assistance. If you’re thinking about Group Health Insurance, an Association Health Plan, or Supplemental Insurance, and you have 5 or more employees, our recommendation is that you contact Payday HCM. They can help you evaluate your options. We do not generally recommend Taxable Healthcare Stipends because they often cause employee issues—but it’s your call. If you’re considering a QSEHRA, our recommendation is Take Command Health. We will note that additional health benefit options may be out there, and if you have questions we’re happy to give you any guidance we may have. As CEDR is not a healthcare broker and its advisors are not licensed insurance agents or brokers, we are not able to provide benefit administration for you or advise you on which plan to select. (That’s what our partners are for!) This information is general guidance that we believe to be current as of publication, not legal advice or a substitute for working with a licensed health insurance broker, CPA, or tax attorney. We’ve compiled this guide for your convenience, and we hope it helps. Healthcare Sharing Ministries are one option that CEDR receives questions about periodically. These are nonprofit organizations that pool together money paid by their members in order to cover the medical costs of its members. In other words, this is medical bill crowd funding. This is not a recommended option due to the potential for a discrimination lawsuit, and other risk to the business. Many HSMs require members to establish and maintain a religious affiliation in order to receive coverage, which causes compliance issues with other laws (federal law requires that employer do not discriminate amongst employees based on religion). In addition, HSMs are not subject to the ACA’s rules on certain conditions. They commonly do not include coverage for pregnancy or pre-existing conditions, which could raise issues under the Americans with Disabilities Act or the Pregnancy Discrimination Act. Thanks so much. Much needed topic.